The Zipper is a superior playing yo-yo with amazing balance and stability. The Zipper is made out of 6061 aluminum, and has an alloy inner ring to put the weight in the right spot. 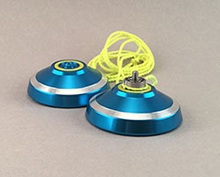 It is a heavy yo-yo that will spin long enough to get through any complex combo! Note: Yo-Yos come with only one string. It is important to have extra string for when it gets dirty, knotted, or breaks. Add strings to your order. 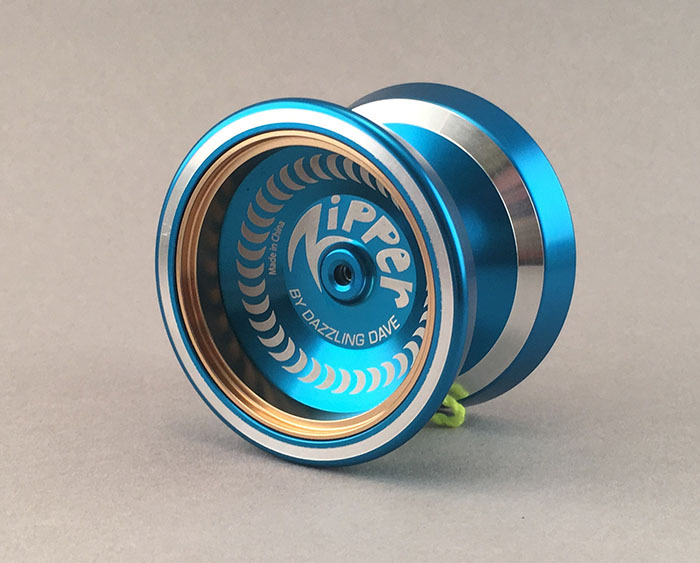 Great for a player who is interested in learning the "bind" method of return, and the more advanced long spinning tricks. Dave Schulte first picked up a yo-yo as a stressed out college student in 1993, and has never really put it down since! 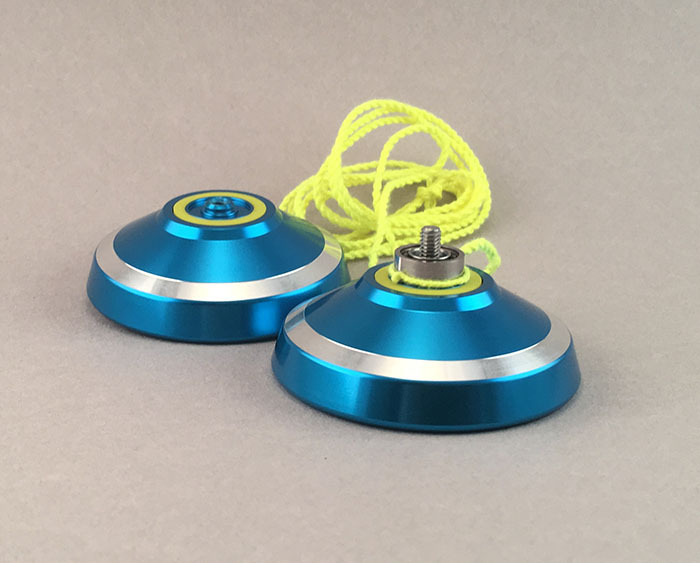 He started his first career as a Technology Education teacher, but his drive to learn more about yo-yos, and to teach others, has lead him to a career as a Yo-Yo Professional! Dave travels the world teaching and entertaining with his yo-yos and spintops. If you are interested in the basic physics behind spinning things, the skill involved to learn them, or just want entertainment, contact Dave today! "Dave was simply outstanding! From his expertise with yo-yos to his ability to relate to children, Dave provided a first rate experience. I would highly recommend this program." "Dave's show brought about good communication and interaction between the students. It is very rewarding to see the children working together to learn a new skill." "Dazzling Dave's show was fantastic. The kids were amazed, and the teachers were thrilled with the science program. His flexibility made our school fun day a huge success." "Watching Dazzling Dave and his yo-yos is like watching a happy little tornado. When he is done, your hair is mussy, and you want to leave it that way for a while!" Copyright © 2017 Dazzling Dave. All Rights Reserved.